The project consists of the construction of latrine and hand washing facilities for each of 6 schools; training of the teachers and local committees in the maintenance of these facilities. about 20 schools. This project will reduce that number by 6-7 school. 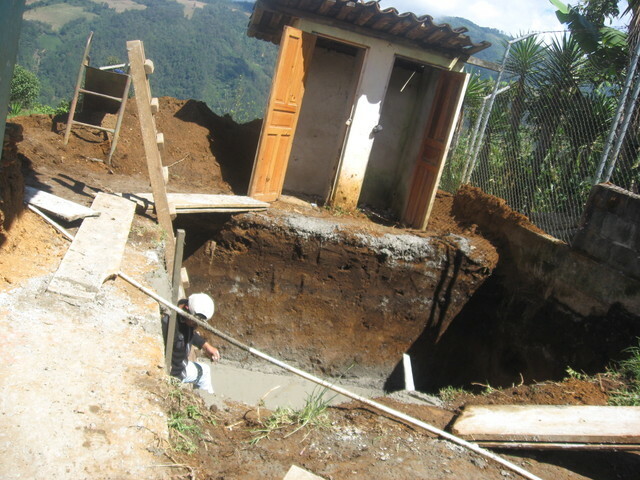 Since the end of the civil war in 1996 in Guatemala APS has with the help of other institutions managed to rebuild all of the village water systems in the municipality of Nebaj. The Fontenero project is a continuation of this work in the schools. The school population will be the primary beneficiary of the project. The hand washing station will serve to provide water for hygiene, kitchen, school snack, clean up of the school ,and community use during meetings at the school. Where it is convenient the tank on the lavamano ( hand washing station) will be connected to the roof to collect rain water. The children at the school will be the primary beneficiaries of the latrines. 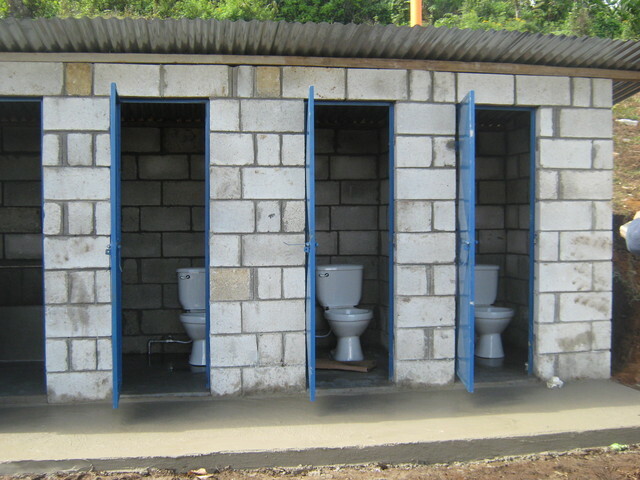 The latrine facility will also be used by the community since the shool in many cases is also the community center. The community in general will benefit from the increased health of their children through the use of these facilities. The designs that we use are widely accepted by communities and the communities are enthusiastic about assisting in the construction. The facilities are strong and easy to clean and maintain. APS has had a maintenance program in the area for 15 years to assist villages and schools with techinical problems and maintenance. The project will be implemented as soon as finds are available and trained masons will work with the community members to construct the facilities. Each school has requested the project and will sign an agreement in which they will contribute some local materials for the construction such as rock ballast for the bases of the hand washing stations and latrines. The community will also cotribute un skilled labor each day the masons are working. This labor is identified in the EXCEL summary sheet attached. Ther are a number of NGOs , health clinics, and government agencies in the area providing health education and support for the schools. The APS Fontenero project will assist these agencies in the completion of their hygiene goals. The villagers in providing help during the construction learn how the structures are built and how to maintain the facilities. The Fontenero Project will provide all institutions and teachers in the area with well constructed facilities to improve their ability to train healthy hygiene habits. The schools are responsible for the maintenance of the facilities with APS providing technical asistance as needed. Periodic visits are made by APS " Circuit Riders" to check on condition of facilities. Details of the cost of the project are provided in the Excel summary sheet. unskilled labor and local materials such as wood framing members and rock for ballast in the structures. Reading about your history of water projects, I noticed you have support from Peace Corp volunteers. Are they responsible to monitor the project? How will the projects by monitored? How frequently will it be monitored and what specific information will be reported? The Peace Corps Healthy Schools project is a project in cooperation with the Guatemalan Ministry of Education. It is normally a 4 year program during which the Peace Corps volunteers train the teachers to meet certain criteria for a healthy school. Once the school children have reached a certain percentage of observable changes in hygiene habits the school receives a certification as a healthy school from the Education Ministry. The Peace Corps volunteers and teachers are given classes on maitenance of the facilities and are responsible for this work. The Peace Corps volunteers report monthly to their supervisor on the hygiene condition of the school. The Healthy schools project has been ongoing in Guatemala for about 10 years and has been so successfull that PC plans to double the number of volunteers in this program next year to 40 from the present 20 new volunteers each year. Where there is no Peace Corps presents APS has " Circuit Riders' financed by The Inrernational Rural Water Asso. to monitor the condition of the facilities to ensure that the schools and communities maintain the hand washing stations and sanitation facilities. We are presently lobbying the Peace Corps and Health districts to initiate Healthy School projects in areas such as Nebaj where they are not working. In the mean time we have a staff member who is initiating a healthy schools program in the area of this present proposed project and working to coordinate the efforts of the school and health districts to expand their efforts in school hygiene. This is a great proposal and fits very well with the history and experience that APLS is building on PWX. Have a question regarding the spread of the practices from school to the community. Assuming that the community has the same problems with sanitation and hygiene, what is your experience with people setting a higher priority to get sanitation? Then either getting it on their own or demanding it to orgs like yours? We have found through observation over the last 15 years that having hand washing stations in schools has changed the habits of adults as well. 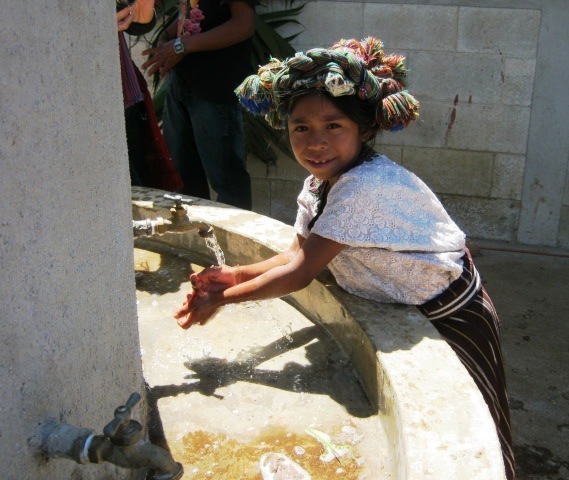 When I first arrived in Guatemala hand washing was mostly a ceremonial activity with everyone washing in the same basin of water before a meal thus contaminating everyone in the process. Now I see individuals wash hands individually at hand washing facilities. We very often take bottles of liguid soap to schools during school events and adults and children line up to get some soap and wash their hands. I think they all know they should wash hands before eating and after use of the bathroom, but often need renainders and examples to do so. This why it is important to have a consistant education program in place where by the teachers encourage this hygiene activity. It is difficult with limited staff to reach all the families and schools, but we find that concentrating on schools we will impact the next generation of parents more effectively. 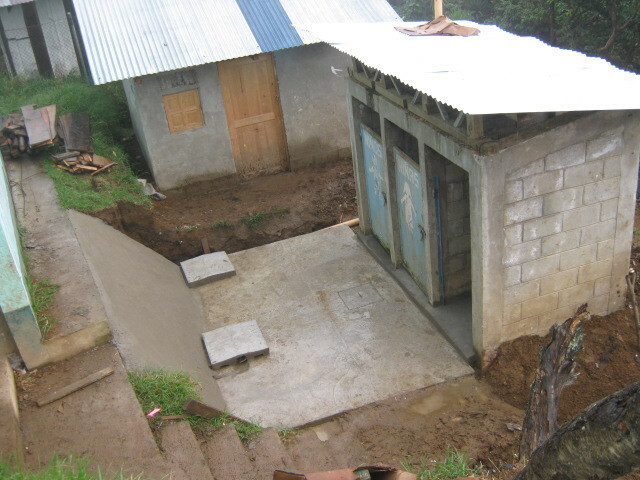 The vast majority of home have some form of latrine due to the efforts of many groups and government programs and in some areas the schools are actually behind in these facilities. This is why we are concentrating on the schools to ensure that they all have adequate facilities for training hygiene habits. We have noticed that since we started the school program some 7 years ago that more and more village committees are coming to us with solicitudes for projects in their schools. This may be just keeping up with the neighbors, but it is my opinion that the parents view the good facilities as a benefit to their children. The parents of the children also contribute substatially to the construction of thes facilities which is a good indicator of their concern for their childrens health. what is the source of the drinking and hand washing water in the schools? is the cost per school about $4500? The majority of the schools are served by a village water system. These systems are fed by springs and distribution systems within the villages. 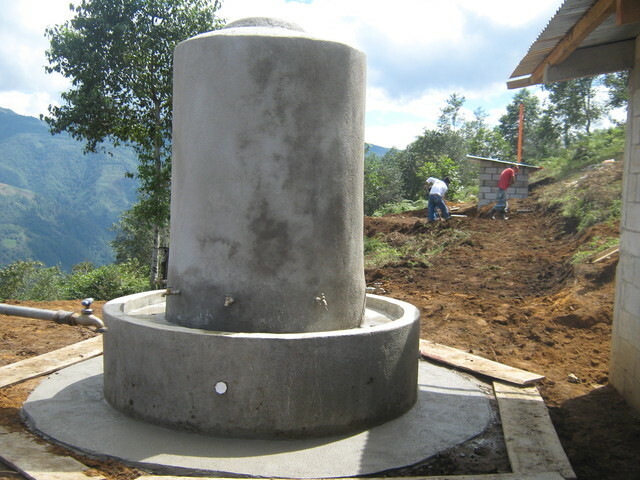 Two of the schools Chortiz and Chuatuj are rain water systems since they are located on a high ridge where springs and gravity water systems are not posible. The majority of the water systems are not treated since the govenment is responsible for this program. We are presently working with the " Area De Salud" to develop a water treatment program in this geographic area using chlorine. We also have a program of installing chlorinators on water systems in anticipation of the government water treatment program. In the meanwhile we give classes in the schools and villages about individual treatment of water before drinking. Our health coordinator is also working on developing a program of Peace Corps Healthy Schools volunteers. The Area De Salud and she are holding meetings to secure permission from the local school officials to allow volunteers to work in the schools to train teachers in Healthy Schools habits. 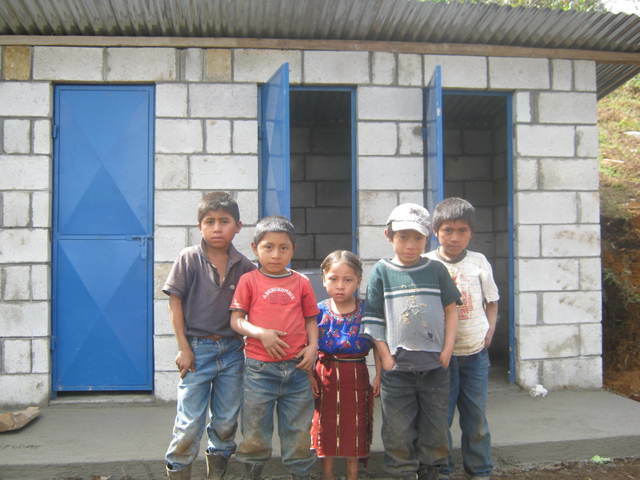 We have done about 100 of these school projects around the Guatemalan Highlands with a number of agencies ( Save The Children and Peace Corps)and find the cost of building a set of latrines and a hand washing facility including all costs is about $4500 on average. The main variable, up or down, in the cost is the distance to the school which reflects in the cost of transport and time of construction or labor. 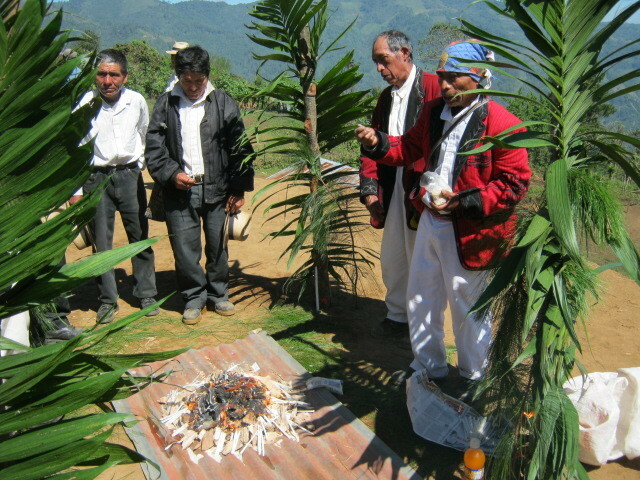 For example Chuatuj and Chortiz require a four hour walk to the village up a mountain side each week with all of the materials and masons. what is the incidence of water related illness? This looks like a very interesting and much needed project. How do you ensure that the hand-washing facilities have a steady supply of soap? Is it the responsibility of the school to provide the soap or is it something that your organization provides? Also, how do you prioritize which school is next on the list for the latrine construction and hand-washing facilities? I understand that you have a target area, but how do you decide which school is selected first etc? We encourage the schools to supply soap for the children. For the first time in the history of Guatemala the government is supplyimg each village school committee with $6.00 per student per year to pay all of the expenses of the schools aside from salaries. You can imagine that this is a very small amount to try to run a school for 9 months. Each school committee and the teachers set the priorities for spending these funds. Some schools are better at prioritizing hygiene. We work with the communities to accept soap as a priority, but it all depends upon the initiative of each school. The school make application for the projects and we determine through meetings with the school officials which schools are ready to work on the projects. To date we have completed about 3/4 of the 50 schools in the area and hope to complete the remainder in the next two years. We are now working with the local health and school officials to allow a long term Healthy Schools project with Peace Corps to begin in the area. 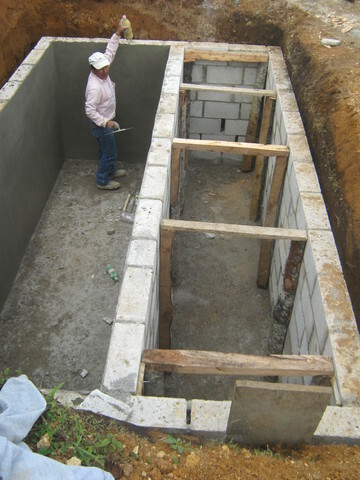 This ongoing project of construction is in preparation of a long term hygiene program. Thank you for your answer to my previous questions and I am enjoying learning more about your project - $6 per student annually is very little, but at least the government are contributing something for the first time. 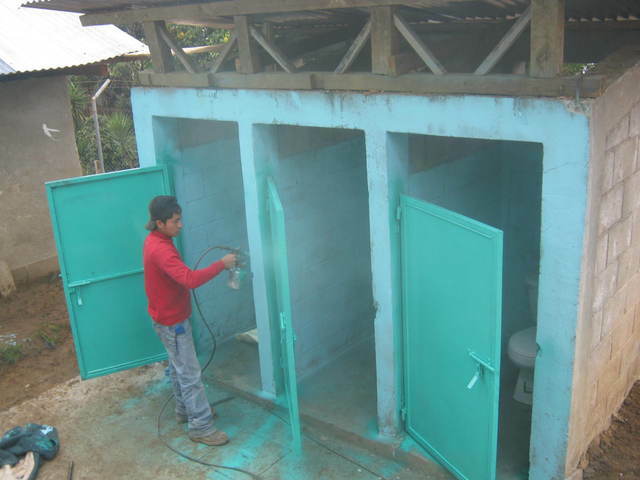 It is good that some of the schools that you have worked with have prioritized hygiene. 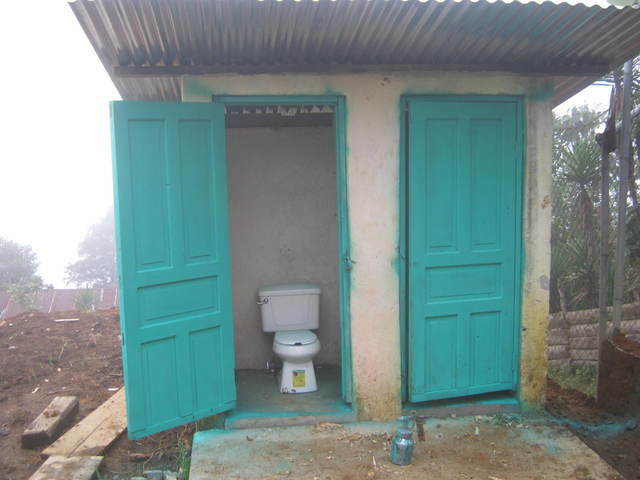 Which latrine design that you are using in this project? What type of latrines are they, and how often do they need to be pumped? Whose responsibility is it to pay for the latrine maintenance? I understand from your proposal that community members will also use the sanitation and hygiene facilities which is great. My experience in Kenya has been that unfortunately the sanitation facilities and the school grounds are often locked. I am curious to know how accessible the school facilities are to the community members? The latrine is a basic VIP design in a complex of five latrines. I have uploaded a Power Point of the construction process on the application page. This Power Point is a work in progress so ask questions about it if is not clear. The cabins have steel doors with locks and it is normal practice to exclude the community from using the latrines unless there is a public event and the school director unlocks them for public use. 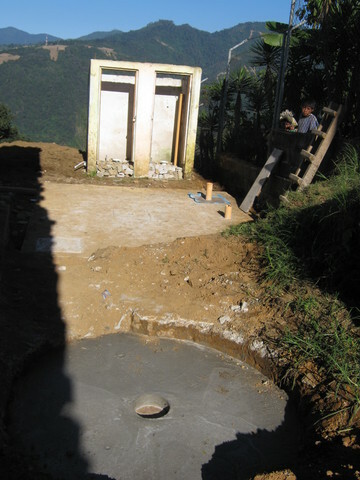 Nearly all the families in this region have some form of latrine for personal use. The schoos normally have committees of children suprvised by teachers to clean the latrines. The cleaning supplies are purchased by the school director with funds from the $6.00 per child. This is a strong proposal from an organization with a good track record of implementation in other schools in the area. The proposed sanitation and hygiene facilities are of good quality and Agua Para La Salud have a sound long term maintenance plan in place and circuit riders that check on the facilities periodically. Working with the schools is a good way of educating the wider community about safe hygiene and sanitation practice and has been shown to be a successful approach in previous APLS projects. Another positive aspect of the project is that the local community makes a contribution in terms of materials and unskilled labor. One challenge that they face is getting the schools to buy the soap for the handwashing stations, but APLS is working to educate the school teachers about the importance of instilling and reinforcing healthy hygiene habits for the school children. 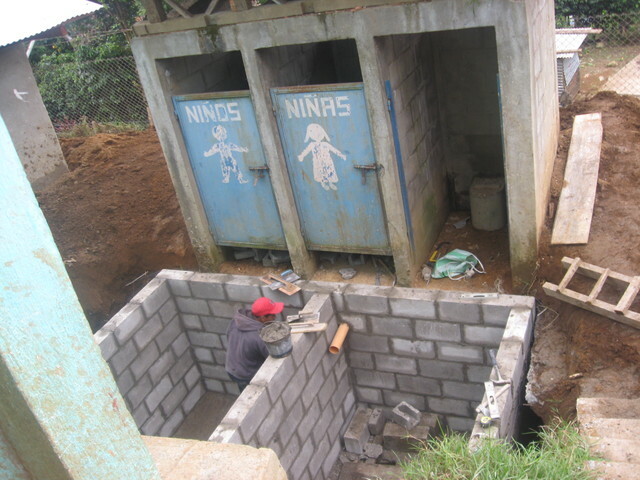 Agua Para La Salud is working with the Peace Corps on a long term Healthy Schools project for the area. The continuation of this hygiene education strategy will be crucial to the long term success of the project. The APLS monitoring structure uses Peace Corps volunteers and also circuit riders financed by the International Rural Water Association. This shows a good level of commitment to program monitoring and oversight. Another point worth noting is that APS have a program of installing chlorinators on water systems in anticipation of the government water treatment program. This is a good example of partnering with the local government without doing their job for them. The project combined with the track record established is compelling and powerful. Although I have not participated the question/answer forum but I have seen the questions and answers and the project is really interesting and unique. training the young generation for hand wash practice, it will change the mind set of parents, the family where project is not reaching. sanitation facility and involvement of teachers, parents is important.